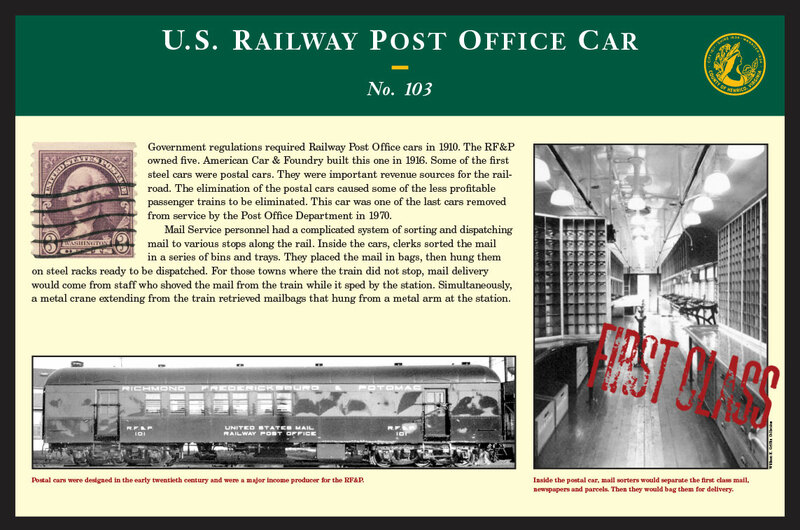 Government regulations required Railway Post Office cars in 1910. The RF&P owned five. American Car & Foundry built this one in 1916. Some of the first steel cars were postal cars. They were important revenue sources for the railroad. The elimination of the postal cars caused some of the less profitable passenger trains to be eliminated. This car was one of the last cars removed from service by the Post Office Department in 1970.